Assaults on democracy are proliferating across the country in a variety of measures designed to reduce the electorate and defund public education. Political leaders who favor stricter voter ID laws that make it harder for poorer Americans and immigrants to vote, and who advocate drastic cuts to public education and to government-supported student loans, do so out of desire to keep the poorer classes alienated from the political system. This is nothing new in American history. When the electorate was first expanded beyond the upper classes in the 19th century, elites openly disparaged the participation of poor and uneducated voters. First, working class white men—especially European immigrants—were enfranchised despite the outrage and disgust of many white Americans who feared the “corruption” of the ballot box by “ignorant” voters during the Jacksonian era. Then, after the momentous events of the Civil War, African Americans were enfranchised through state laws and Federal Constitutional Amendments during Reconstruction. Opposition to blacks voting echoed earlier concerns about the white workers’ “unfitness” for the ballot box due to their lack of education, economic dependence, and supposed susceptibility to corruption and demagoguery.But the greatest fear of all was usually unspoken: that politicians might cater to their interests and popularly elected government might actually enact policies that favor someone other than the wealthiest elites. 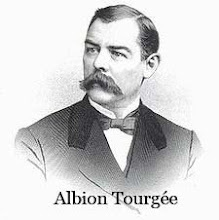 I wrote a biography of Albion W. Tourgée, a forgotten civil rights champion who fought relentlessly in 19th century America to protect the right to vote for poor white and black Americans, and who advocated robust state and Federal funding to public education. For decades, Tourgée fought to expand public education—especially among former slaves in the South. In 1868, he was one of the authors of the North Carolina State Constitution that requires that the state provide free public education from grammar school through university, open to all citizens of the state. Education fostered a common culture, as well as a more intelligent citizenry, and encouraged citizens to be active participants in civic life. Education was also to be an antidote to the feelings of alienation and resentment that came from exclusion and enforced ignorance. Once again, using transparently facetious arguments, the wealthy and powerful are trying to curb the voting rights and the educational opportunities of the poor. The struggles of a century ago continue today. ~ Mark Elliott is Associate Professor of History at the University of North Carolina at Greensboro. He is the author of Color Blind Justice: Albion Tourgée and the Quest for Racial Equality from the Civil War to Plessy v. Ferguson (Oxford 2006) and co-editor with John David Smith of Undaunted Radical: The Selected Writings and Speeches of Albion W. Tourgée (LSU 2010).